Review: There are so many great young adult books in the world, but this is one of the best books I have ever read. 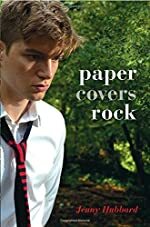 Paper Covers Rock by Jenny Hubbard is about two young men named Alex and Glenn who are trying to figure out if a teacher saw what happened the day their friend, Thomas, died at the river. That fateful day, Alex, Glenn and Thomas had been drinking- an act that would result in expulsion from school if it was ever discovered Thomas died as a result of diving off a rock while he was drunk. The alcohol in his system impaired his swimming, and he ultimately drowned. So in an effort to save them, Alex and Glenn make a very mean plan to find if the teacher really does know the truth about what happened down by the river. There are many things in Paper Covers Rock that I enjoyed. Something that I liked was that Alex is a poem writer and that the author includes many creative poems in the book. Plus, at one point, Alex says" Truth: as essential as rain." This metaphorical writing is so powerful. I like it because everyone needs truth. If there wasn't truth, we would all be living in a world of lies. I also practically liked the fact that the book was written like a diary or notebook. Paper Covers Rock is really one of a kind, and in a good way. I rate this book a ten out of ten because it is action packed and very interesting. I could not put Paper Covers Rock down once I began to read it. It had to be one of the best books that I have ever read. As I started earlier, I also liked the fact that the author gave the book a diary sort of feeling. There are also many creative parts like how the boys are plotting a plan against a teacher. Clearly, there are many things that I really did enjoy. Although this book is amazing and interesting, I believe that children of an older audience would enjoy this story more than the children of a younger audience because of the foul language used by the characters. We would like to thank Random House for providing a copy of Paper Covers Rock for this review. Have you read Paper Covers Rock? How would you rate it? The Black Heart Crypt by Chris Grabenstein. A Haunted Mystery. Review: I can see them, my dad used to be able to see them, they speak to me and sometimes ask me for help. Yup, that is right; I can see and speak to ghosts. Hi, I am Zack Jennings. Welcome to my life. Although Zack looks like a normal kid, he is anything but. 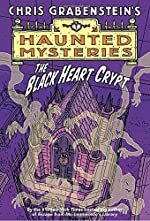 The book The Black Heart Crypt, the fourth book in the Haunted Mystery series by Chris Grabenstein, has action around every corner. It is the most suspenseful book I have ever read. Halloween is nearly every child's favorite day of the year but not Zack. During Halloween, a few ghosts are after him and not only can they hurt, but they can also posses their living relatives. Zack knows that on Halloween the divide between the living and the dead is thin. Powerful ghosts can cross over and cause some serious trouble. So, for protection, he decides to stay near a big crowd, where most ghosts cannot hurt you. Unfortunately, an evil group of 13 ghosts by the name of Ickleby has something against the Jennings' family. The leader of the group is powerful enough to kill, even in a crowd. Azalea and Malik get sucked into this mess when they are with Zack on Halloween and the Icleby's are loose. Now they all have to survive the night. "Zack Jennings did not want to chase a slobbering black dog with glowing red eyeballs up into Haddam Hill Cemetery three nights before Halloween. As you can see you are launched straight into the action. In almost every chapter there is some kind of action or danger. Whether it's Zack, one of his friends, or some of his family, someone's usually in danger. The Black Heart Crypt is so good I did not want to put it down. When I finished I was left wanting to read more! I had never read a book written by Chris Grabenstein, but now I am compelled to read more of his books. If you like mystery, suspense, and a little bit of humor, then I would highly recommend this book. I rate The Black Heart Crypt 5 out of 5 stars. I hope Grabenstein writes a sequel to The Black Heart Crypt. I will caution you, there are lots of battle scenes and a few scattered killings. Chris Grabenstein is the winner of the Agatha Award and the Anthony Award for earlier books in his Haunted Mystery series. We would like to thank Random House for providing a copy of The Black Heart Crypt for this review. Have you read The Black Heart Crypt? How would you rate it? The Giver: The Gift Edition by Lois Lowry. Review: Few books will touch the heart and stimulate the mind like The Giver by Lois Lowry. The Giver is one of those books that is cherished by its readers and honestly alters the way the reader views everything they once believed to be true in the world. 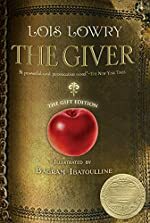 Now, after nearly ten years, Houghton Mifflin has released The Giver: The Gift Edition which is bound to inspire and intrigue readers everywhere. Jonas lives in a world where becoming twelve is a turning point in an individual's life. At age twelve, Jonas receives his life assignment chosen for him by the Elders. Unlike his friends who are granted assignments such as Caretakers for the Old or Street Cleaners, Jonas is granted a mysterious assignment that requires utmost secrecy. Jonas goes on spending his days with a mysterious old man who has inexplicable knowledge that he imparts on Jonas. As his friends go on living as usual - without feelings, without fear and without choices, Jonas is on sensory overload. He soon realizes that his utopian society has deep hidden secrets that would bring chaos in a world of order if they were ever revealed. The Giver, originally published in 1993, was awarded the 1994 Newbery Medal. This new Gift Edition provides what every reader of The Giver has hoped for - illustrations. The Giver is one of those rare books that evokes such powerful visualizations that readers are excited by the imagery and symbolism within the text. Bagram Ibatoulline has added exceptional illustrations that capture the essence of the story, and the illustrations can be instrumental in developing the symbolism within the text. Although the depth of The Giver has typically been appreciated more by advanced readers, the new gift edition will help bring home the essence of the book to all readers. The Giver is an amazing book - one that can be read over and over again, and the Gift Edition not only creates a fresh new look on a classic for a new generation, but it also touches the hearts of all fans because what we've imagined has finally been given life. Lowry fans will be thrilled to know that The Giver is in development for a movie premiere possibly in 2013. We would like to thank Houghton Mifflin Harcourt for providing a copy of The Giver: The Gift Edition for this review. Have you read The Giver: The Gift Edition? How would you rate it? Witch Catcher by Mary Downing Hahn. Review: With swirling colors that seem to merge into each other, the Witch Catcher caught the sunlight and sparkled with an additional influence on anyone who witnesses it and decides to obtain it. 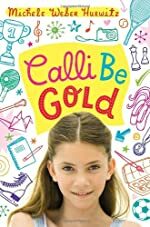 Twelve year-old Jen lead a perfectly normal life, that is, before her dad inherited an old mansion from her great-uncle. 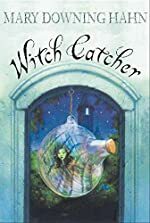 In Witch Catcher, written by Mary Downing Hahn, Jen must uncover more of this interesting, yet terrifying mystery, before she and her dad are harmed. One would stop to inquire themselves, "What is this Witch Catcher, and can it really influence her family by so much?" Imagine uncovering a special something, but then this odd and puzzling woman comes and demands it from you. Well, that's exactly what happens to Jen. Strange things begin to happen as Jen discovers a colorful glass sphere. An old named Moura steals her father's heart, and has him wrapped around her pinkie finger, and if that isn't mystifying enough, she demands that the globe be given to her. If Jen doesn't oblige her, then she, and her father's lives will be at risk. What's the big deal with the Witch Catcher? Well, Jen has become close to it, and she enjoys the inspiration of having something that Moura desires. But will Jen's life really be at stake if she doesn't hand over the Witch Catcher? What does the Witch Catcher really mean to Moura? Is she not telling the whole truth? Mary Downing Hahn is such a splendid and glorious novelist. My friends told me that she's one of their favorite authors when I described this book to them, and honestly, she's one of mine too. Behind every page is another page of terrific suspense, and within the suspense, is an original and intriguing adventure. Once you start the book, there's no turning away, not until you finish. I rate Witch Catcher, five stars. My favorite scene was when Jen carefully describes her mother, and the best she could commit to memory. Certainly, my favorite character is Jen, and I felt so bad for her, having to witness her mother's death, but to move and have her father fall in love with a dignified woman named Moura, who, in this case, is too dignified. PS. You will ask your parents to take you to the bookstore in five minutes to buy this book. Then you will sit/lay down and peacefully read Witch Catcher. If you don't, I still trust you to read the book sooner or later, because you're just going to surrender to my persuasion and to the effects of the Witch Catcher! We would like to thank Houghton Mifflin Harcourt for providing a copy of Witch Catcher for this review. Have you read Witch Catcher? How would you rate it? Here Lies Linc by Delia Ray. Review: Your dad is deceased, your mom won't talk to you and you are going to a weird private school? Can you imagine that? Well that is the life of Lincoln Crenshaw. 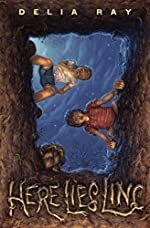 In Here Lies Linc, by Delia Ray, Lincoln just transferred from a private school to a public school with bullies, jocks and all the popular girls life. Out of school is not great because his dad is dead, his mother is obsessed with graves and the grave yard is practically her home and their big fluffy, big, stupid dog is too lazy to do anything. He his home alone most days and does everything for himself. The new life for him isn't the best, but it's livable. What if your life was that could you live through that? Linc can live through any life. Linc's mom, Lottie, doesn't have a healthy life. She knows the graveyard like the back of her hand. Most people don't live like that. Linc has gone to more cemeteries than he can count. Now that's just his family life. At school he tries to be a normal kid with a normal social life but that plan backfires when in one of his classes, his class is assigned a class project, a mandatory field trip to the local graveyard. Each student has to pick a grave to study and give a presentation. Lottie gives the tour around the graveyard and Linc doesn't like that. He goes and tells Lottie after school and Lottie doesn't want Linc to be angry so she tries to soothe him by helping him pick a special grave, the Black Angel. The grave is supposedly cursed. Can this cursed gave project be the key to happiness for once? Overall, Here Lies Linc is an outstanding book. First of all, Linc is a great character. He loves helping people and can tackle whatever life throws at him. Delia Ray has created many interesting characters to compliment Linc's character such as Lottie who is a weird, but cool and funny mom. His dog who is lazy and fat contributes to the story by doing some humorous acts throughout the book. I think Here Lies Linc, by Delia Ray, is a great book for all ages. She blends together humorous scenes with each character along with caring, sentimental scenes. Kids of all ages should read the book, even adults! We would like to thank Random House for providing a copy of Here Lies Linc for this review. Have you read Here Lies Linc? How would you rate it? Kitt Pirate: Snagletooth's Treasure by Ben Oliver. Review: YARRR! Me hardies there be gold on this X. Kitt Pirate: Snaggletooth's Treasure by Ben Oliver, is a great book for kids nine and older. It is about a pirate named Kitt who goes on adventures. Our journey begins with Kitt sailing on the sea. He then sees Snaggletooth's island where he anchors ship and delves into the jungle. Feeling they are being watched, they forge deeper and deeper until a gigantic spider attacks them. Luckily Kitt has a torch to disincarnate the spider allowing them to escape. Kitt soon makes it through the jungle to a bluff where a cave leading to Snaggletooth's Treasure lies and all the way to the den where his treasure is located. However it is guarded by an octopus that only gives them Snaggletooth's Treasure if they can beat him in a "riddle off." Will Kitt ever get Snaggletooth's Treasure? Will he beat the octopus in a riddle fight? If you get Kitt Pirate you will get these answers and more! Kitt Pirate deserves five out of five stars. It has suspense, action and adventure. The suspense will keep you reading on the edge of your seat the whole way, and there is action on every page. Kitt Pirate is filled with adventure the whole way through. All three components re combined for the best book ever. You won't want to miss this book. 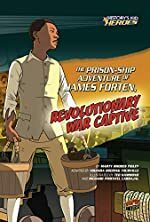 If you like pirates, you'll love this book. Every seafaring captain should have Kitt Pirate on their bookshelf, mantle or anywhere! Go get Kitt Pirate: Snaggletooth's Treasure. We would like to thank G3 Studios Publicity for providing a copy of Kitt Pirate: Snagletooth's Treasure for this review. 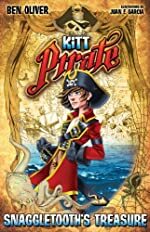 Have you read Kitt Pirate: Snagletooth's Treasure? How would you rate it? The Prairie Pet by Stacey Laura Lloyd. A Hospital Critterz Book. Review: If you ever want to make a friend just draw one. See how some drawings with the help of some magic markers bring two people together for a worthwhile cause. The Prairie Pet written by Stacy Laura Lloyd is a book full of adventure with many surprises written for kids 8-10. It is a fantasy book of a lifetime. This is the first book in the Hospital Critterz series and it is filled with a lot of excitement and will keep readers interested throughout the whole book. 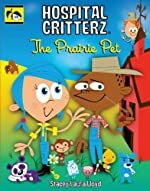 In The Prairie Pet, Lily and Max are patients in McPoppers Children's Hospital, but they are anything but friends. However Lily still keeps trying. She starts drawing pictures for Max. Max doesn't like them in the beginning and tells her never to come in his room. But then one night she is awakened by something strange. She realizes that there may be a little magic in the hospital. Will this realization bring Max and Lily together for an adventure? 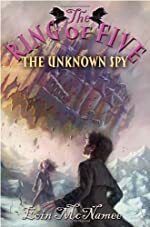 Stacey Laura Lloyd is a great author who writes amazing books. I can't wait for any future books she might write. If I could make a list of the 100 best books this would be in the top ten. I hope she writes more books in the Hospital Critterz series so the world can have even more joy from her writing. I kept on looking at the note that said the riddle, "A farmer gets food straight from his land, and sometimes he needs a helping hand. But what do you do when a farmer is low? Dig deep inside you and something will grow." That quote had an impact on me because it is saying that everyone is special and anything is possible if you put your heart to it. Lily is a person everybody would want to be because she is pleasant, smart, and is always working for a better cause. She is somebody a lot of people can relate to. It is a good book to read at night because it leaves readers filled with positive thoughts. It is also a very relaxing book to most readers. This has little bit of each genre, but it is mostly fantasy. Any age group can enjoy this book full of surprises. 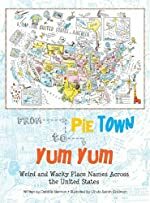 If you like food and life then you will love this book. It is a cute story that will touch the hearts of anyone who reads it. I rate it five stars because this book blew my mind and will blow yours. If I was in a hospital and I read this book I would feel a lot safer and less afraid. We would like to thank Raab Associates for providing a copy of The Prairie Pet for this review. Have you read The Prairie Pet? How would you rate it?